We didn’t think we’d be excited about the city’s gajillionth ramen joint. But this place offers something truly special: namely, kickass noodles without the queues. Like most specialised ramen shops in town, the menu here boasts limited options (three to be exact) on a fill-it-in-yourself order form that lists preparation preferences and condiment requests. Orders are whipped up in an open kitchen and then doled out to customers sitting on the other side of the counter. It’s nothing new, but that doesn’t mean the noodles are any less astounding. 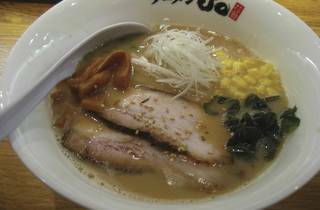 Definitely order the miso ramen ($78), which is served with thick, curly noodles that hold up ample amounts of soup with each twirl. The broth is crazy good – a brackish, bisque-like concoction that’s tempered by its own thick and creamy body. It’s rich without being overwhelming, essentially hitting that delicate spot that hangs between not-enough and a-little-too-much. 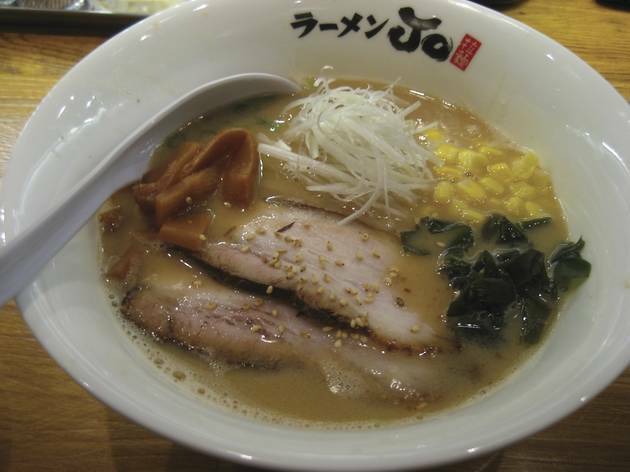 You get the same sort of balance with the Hakata-style tonkotsu ($68). Unlike the miso, this comes with straight and thin noodles swimming in a milky white pork bone broth. The first sip feels heavy but a creeping sweetness takes over quickly, leading to a brightly flavoured finish that doesn’t weigh down the palate. And while we’re gushing about the soup bases, it’s only fair that we also shine a light on the delicious things that decorate them. All bowls come with two slices of chasu pork, both with a delicious rind of fat running down the meat. Marinated bamboo shoots are also standard practice and here they’re soft and sweet without tasting artificially saccharine. There are add-ons too, like soft-boiled tamago ($15) with solid whites hiding molten, orange yolks. The egg’s natural flavours lean on the mild side but the problem is easily fixed by the soy marinade that lacquers the exterior. And in any case, this is a small complaint in the larger scope of things. 3 Caroline Hill Rd, Causeway Bay, 2885 0638. Daily 11.30am-3pm & 6pm-10.30pm. Dinner for two: around $200.